My Children SHOULD DO BETTER! I have heard a disturbing statement made by many parents as I have traveled the nation on this crusade to help people accomplish far more than they ever thought possible with their money. Think about it. Are YOU positioning your children to PROSPER or are you setting them up with a financial struggle from the start? If you have young children and are planning for them to attend college – are YOU saving for their college education OR are you going to let them start out life with the equivalent of a small home mortgage in student loan debt? Are you saving money and planning to leave an inheritance OR are you on track to leave a legacy of debt and financial mismanagement? Are you teaching your children financial principles and living it out in your own life OR are you telling your children ridiculous things like “do as I say, don’t do as I do”? Are you providing some seed capital for your children to attack life with OR are you sending them to “the real world” with nothing in their pockets? Call me crazy, but my children SHOULD DO BETTER because I positioned them to win with their money. 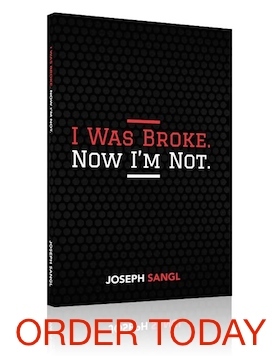 A great resource to teach your children about money is my book for high-schoolers and 20-somethings – What Everyone Should Know About Money Before They Enter The Real World. Check it out HERE.